eToro offers free mobile application. 15 types of electronic money currently in circulation, including Bitcoin, Bitcoin Cash, Ripple and Ethereum. eToro is company that provides trading of CFD’s and cyptocurrenices across various assets. Created in 2007, eToro has now been in the industry for over a decade providing traders with the tools necessary to trade and access the markets. Most recently in 2017 the company added cryptocurrencies to their platform and this allows traders to access the growing market of digital coins. When selecting the right company to work with it’s important to take a look at all the features and information before depositing your money. This article will be an overview of the eToro product and what it may or may not offer you. What Trading Instruments are Available on eToro? First we’ll take a look at some of the facts. Already stated they began operations in 2007. In the about us section, you can find a whole detail about eToro but here are a few of the high points. One of their main goals is to make the trading process simple and accessible to anyone. Offering both long term and short term trading options, there is likely a product to fit your need. From there, you can look into social trading, which essentially allows you to trade how others are trading. The company also appears to strive for a sense of responsibility with their clients. eToro, “wants its clients to make smart investment decisions…”, which should be the goal of any financial company. Lastly, there is an emphasis on being secure, as well as providing traders with educational tools to ensure their trading remains current with news and information. At a quick glance, it appears eToro is in the right place with their clients. eToro works similar to any platform that first you’ll need to sign up and open an account to utilize. From there, you can begin browsing the products and assets of the platform to see if it fits your needs. This particular platform utilizes CFD’s for much of their trading, which is a speculative product that may not be for everyone. One thing you will note is that this platform is accessible to individuals within the United States and that is due to the cryptocurrency side of trading. Unfortunately you are still unable to utilize the full scheme of the platform. Once you’ve researched the particulars of the platform, you can begin by either practicing on the demo account or fund a live trading account. Utilizing the demo account is important because it not only allows you to test drive the platform, but once you develop new trading strategies you can begin testing them without risking your trading capital. Overall, eToro works similar to any other platform out there and it is up to you to decide if it fits your trading needs. Reliability is the main concern with many, if not all traders, as they want to ensure that their money and account are going to be safe and their trades efficiently executed. One way to tell quickly if the platform is reliable is to search for their licenses and any regulation information on the website. First you will note that they have a relationship with MiFID, which is a European Union law that helps to protect clients and increase competition within the industry. The company also has registered offices in Cyprus, the U.K. and Australia. 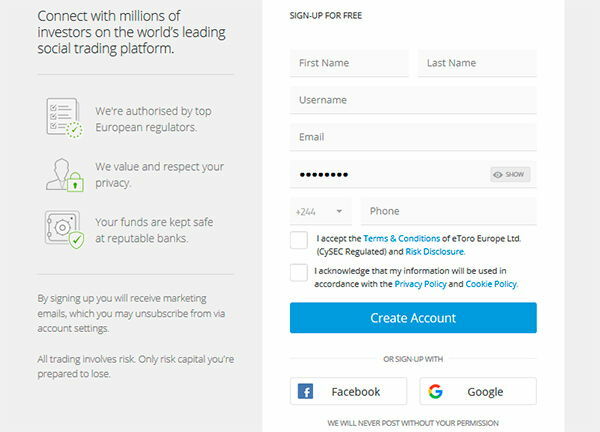 Furthermore, Copy Trading is licensed by eToro Europe for those interested in the Copy Trading product. eToro spells out where their jurisdiction lies within each country, including the United States. Understanding the laws of each country is important so you know how each countries rules can affect you and your trading. There are also PDF downloads for you to review but overall, it appears eToro takes their reliability very seriously and provides clients with the documents and information necessary to make an informed decision. When selecting the right trading platform, you need to have a clear understanding of what you’ll be able to trade. 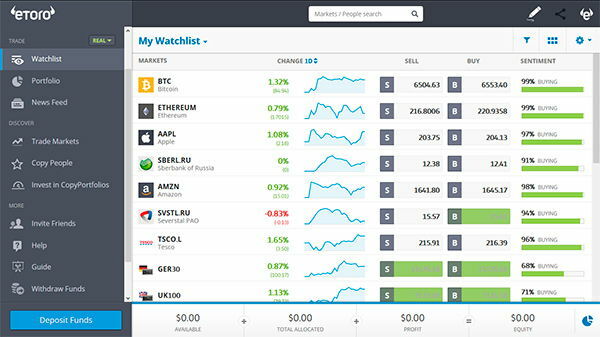 With eToro, you can trade stocks, Forex, and even cryptocurrencies. If you are in the United States, you will soon have the ability to trade cryptocurrencies using the eToro platform. 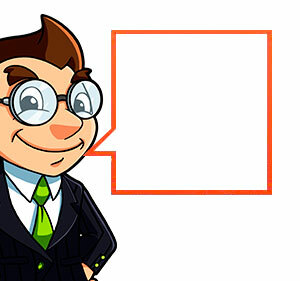 If you are looking to trade stocks, eToro allows you to trade many of the popular names. The benefits to doing so on eToro include fractional share purchases, as well as shorting a stock using CFD’s. Utilizing this gives you the flexibility to potentially profit from any direction you believe the market is headed. Commodities are another assets you can trade utilizing similar products as stocks. However, one of the main differences is if you trade commodities you are limited to using CFD’s for both sides of the trade. Also, same with stocks, if you only have $50 and the price of gold is $1,000 you are still able to access that market. Lastly, there are Forex and cryptocurrencies you can access using the eToro platform. With Forex you can leverage yourself to expedite the increase in revenue, however, should you begin taking on losses you will quickly incur losses that could outsize your initial deposit. Already mentioned but very unique to eToro is the social trading product. Social trading or Copy Trader simply allows you to mimic the trades of another in hopes of generating a return. This is for someone who is looking for a passive stream of income and can trust another individuals trading judgment. 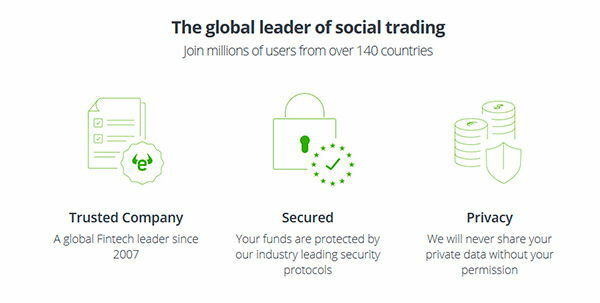 Some of the main reasons eToro states for using the social trading product is the simplicity, diversity, profitability and reliability. You can test strategies and time frames until you find what fits your needs best. However, if you are new to the markets and have limited knowledge of trading and investing, you should take the time to gain a better understanding to ensure who you are copying is what you are looking for. Also, should you start losing when you are following another trader you can begin to analyze what they are doing and see if you can do better. Another product that is similar to the social trading is eToro’s CopyPortfolios, which are exactly what they sound like. You can choose to invest into two products, which include the top trader portfolios or market portfolios. The trader’s portfolio allows you to mimic top performing traders, while a market portfolio is built with CFD stocks, commodities or ETF’s. One of the benefits to this, similarly to the social trading is you can take a backseat role and mimic what other traders are doing. On the other hand, should you simply want a diversified portfolio you can look at the market portfolios and begin putting your money to work. There is an FAQ section that can help answer more detailed questions but one item to consider is the minimum investment amount is $5,000, which for those starting out may be a little on the higher side. This is due to the many different trades going on within the portfolio. As with any platform the importance of a mobile application is great, because the market never sleeps and if you are on the go you need to have the ability to access your account. The eToro platform is available to traders in both the iTunes store and Google Play store, allowing you to trade from wherever. Same as the desktop platform, you can access your account and place the appropriate trades. This is important because should the market move, you need to be able to adjust your portfolio and make the appropriate trades. Opening an account is simple as you can sign up on the homepage and begin populating the require information. From there, your account will be open but you’ll want to ensure you have access to a demo account because this is where you can test strategies and become familiar with the platform. Once your account is open, you will need to verify your account using proof of identity. This document will need to include your name, date of birth, a photograph of yourself, issue date and date of expiry. Doing so will ensure you are verified and then can begin withdrawing and operating your account securely. Also, ensure you have documents to verify your proof of address, such as bank statements or utility bills. There are several ways to deposit funds and they are broken out by which country you reside in. While many are instantly deposited into your account, there are a select few that can take additional time to process. Similar to a deposit, withdrawing your funds typically happens in the same account and takes a little longer, depending on the laws of your country and the rules of the eToro platform. Overall, eToro has a solid and clean platform that is easy to use for seasoned and beginners alike. If you have experience with the platform, leave a comment and tell others your opinions or if you are new, ask a question and allow the community to answer. One of the bigger items to take away from eToro is they will offer their cryptocurrency trading to the United States soon it appears. Keep an eye out for that as it can be a viable way to access the cryptocurrency market.